We were late for the pick up so we were absent for half the trip. In the end we had to buy tickets and make our own way to Grindelwald. Only met the guide for a short orientation in Interlaken and to take the bus ride back. View was nice but pity we didn't have enough time to go up to Mt First. Klook did their best to assist us, and the guide was friendly. The bus is pretty punctual so don't be late! 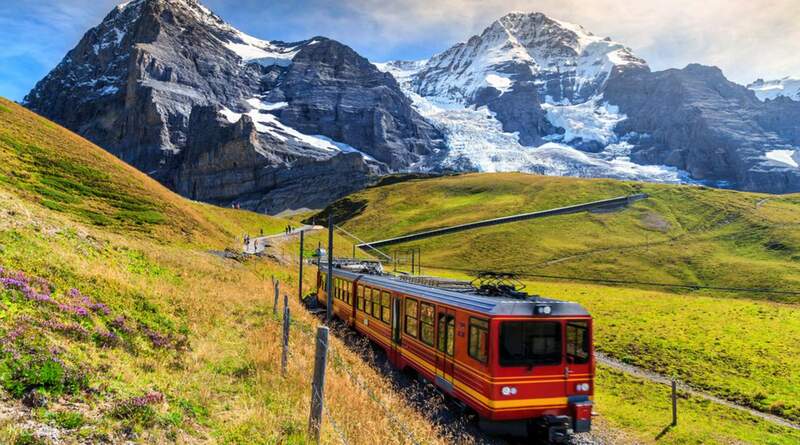 Take a day trip to Switzerland's most scenic alpine region - Bernese Oberland and the Jungfrau mountains. The tour begins with a morning drive form Lucerne through the countryside to Interlaken, located at the heart of the Jungfrau region. Go down for a quick photo stop and orientation about Interlaken, a charming town located between two lakes. Continue on to Grindelwald, a picture perfect Swiss resort - the perfect place to spend the holidays. 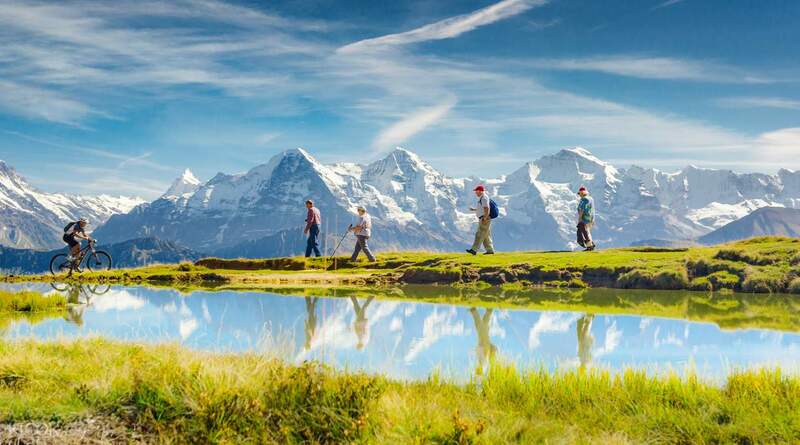 Enjoy some free time to explore - take in the fantastic surroundings - including the world famous triple peaks, Eiger, Monch and Jungrau. Try out the activities like the cable car ride (at own cost), the Cliff Walk, or the Trottibike (only during the summer - at own cost). Finally, in the afternoon, take the train back down to Interlaken, where you can spend the rest of your time exploring this shopping paradise. Look at the handicrafts, try out some regional produce, or buy yourself jewelry and watches. You can also visit Interlaken's home mountain, Harder Kulm - ride the cable car (at own cost) and visit the peak to take in unparalleled views of the mountain range. After exploring, meet up with your guide and embark on your trip back to Lucerne. value for money. both tour guides were knowledgeable and patient with questions. highly recommended for a day tour from Lucerne. value for money. both tour guides were knowledgeable and patient with questions. highly recommended for a day tour from Lucerne. We were late for the pick up so we were absent for half the trip. In the end we had to buy tickets and make our own way to Grindelwald. Only met the guide for a short orientation in Interlaken and to take the bus ride back. View was nice but pity we didn't have enough time to go up to Mt First. Klook did their best to assist us, and the guide was friendly. The bus is pretty punctual so don't be late! We were late for the pick up so we were absent for half the trip. In the end we had to buy tickets and make our own way to Grindelwald. Only met the guide for a short orientation in Interlaken and to take the bus ride back. View was nice but pity we didn't have enough time to go up to Mt First. Klook did their best to assist us, and the guide was friendly. The bus is pretty punctual so don't be late! Beautiful scenery along the way. Plenty of free time for you to try the activities in the Mt. First, e.g. cliff walk, mountain cart...etc. Tour guide David was helpful & nice. Beautiful scenery along the way. Plenty of free time for you to try the activities in the Mt. First, e.g. cliff walk, mountain cart...etc. Tour guide David was helpful & nice. It was perfect and great experience to me. Although I booke only I Intelaken and Grindelwald it was so so wonderful to me. If I have a chance to go Swiss again, I want to book Jungfrau tour. And also my tour guide was so kind. Specially, Dave who I met in I Grindewald was so kind and good at explaining about what I could do here(for example, hiking or Tour, journey for walking whatever). He recommended about getting on gondola which is the most expensive i. Grindelwald. But I think it is good price to see the landscape about a part of Swiss. Thank u to Dave to recommend about this activity. It was perfect and great experience to me. Although I booke only I Intelaken and Grindelwald it was so so wonderful to me. 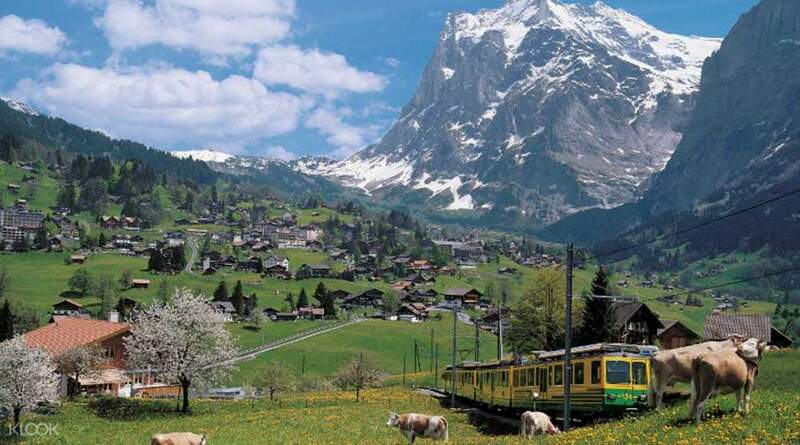 If I have a chance to go Swiss again, I want to book Jungfrau tour. And also my tour guide was so kind. Specially, Dave who I met in I Grindewald was so kind and good at explaining about what I could do here(for example, hiking or Tour, journey for walking whatever). 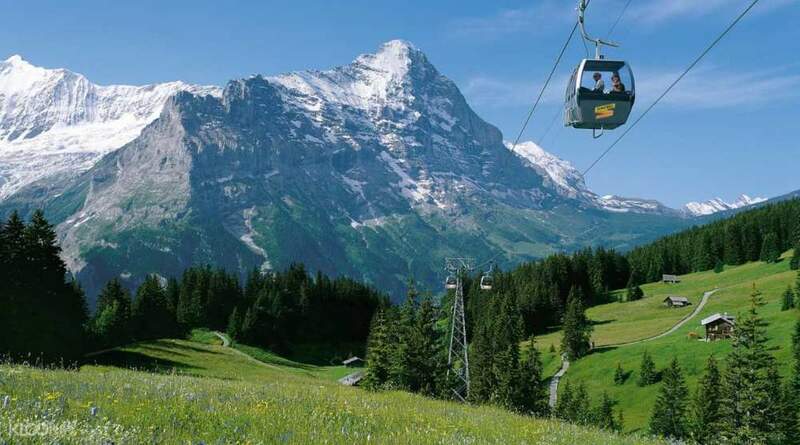 He recommended about getting on gondola which is the most expensive i. Grindelwald. 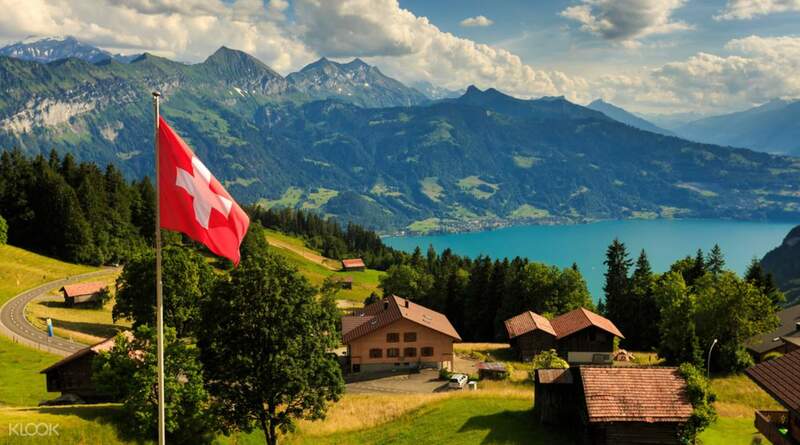 But I think it is good price to see the landscape about a part of Swiss. Thank u to Dave to recommend about this activity. We love the experience and it is a very good decision to take this kind of activity! This is the highlights of our Switzerland trip and the view is really amazing! The tour guide was very accommodating and very informative! Kudos to him because he guided us all through out! Keep up the good work! We love the experience and it is a very good decision to take this kind of activity! This is the highlights of our Switzerland trip and the view is really amazing! The tour guide was very accommodating and very informative! Kudos to him because he guided us all through out! Keep up the good work! It was nothing short of amazing! We love Grindelwald and we took lots of beautiful photos! Great to have a convenient ride in between places. It was nothing short of amazing! We love Grindelwald and we took lots of beautiful photos! Great to have a convenient ride in between places. Very beautiful place and The Best of Switzerland tour guide were lovely too. Highly recommend, from the moment you get on the bus to getting off the bus the view is amazing. Very beautiful place and The Best of Switzerland tour guide were lovely too. Highly recommend, from the moment you get on the bus to getting off the bus the view is amazing. It was very convenient and the place was beautiful. The time given for each locations to move around was plenty. It was very convenient and the place was beautiful. The time given for each locations to move around was plenty.